Chief Keef has secured a way to perform for his fans in London. The Los Angeles-based rapper has once again partnered with Hologram USA for the Chief Keef and Icons of American Music tour, according to Billboard. The 90-minute show will debut on August 31 in London, with a second performance set for the following night. The experience is then scheduled to head to the performer’s hometown of Chicago, which will kick off the U.S. portion of the tour. 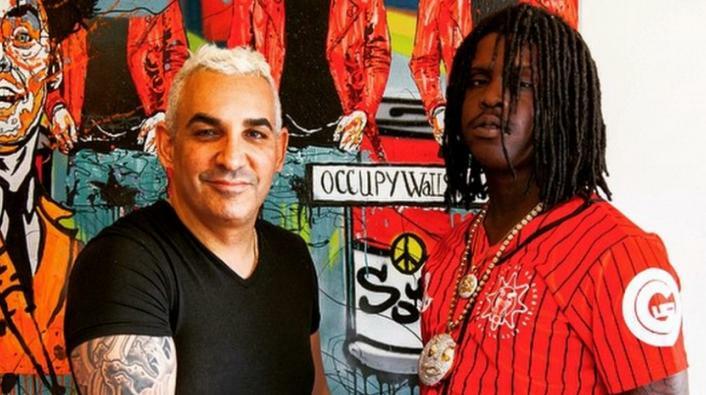 The hologram tour allows Chief Keef, who was born Keith Farrelle in Chicago, to bring his music to London. The musician is currently unable to physically enter the U.K., due to legal restrictions, his manager has reported. The Chief Keef and Icons of American Music tour was crafted after police shut down the rapper’s hologram concert in Hammond, Indiana in 2015. He was a last-minute addition to a music festival lineup in Hammond, after a performance he was scheduled to give in Chicago was canceled by its organizers. They gave in to pressure from city officials, who cited a concern for public safety. “Police and the mayor wanted to stop my hologram show in Chicago. F— Rahm Emanuel, I’m bringing it anyway. First up, London,” Chief Keef told Billboard. The Chief Keef and Icons of American Music tour is being brought to the stage after Hologram USA previously crafted shows that featured such legendary artists as Billie Holiday, Whitney Houston and Michael Jackson. The experience also comes after David offered a sneak preview last fall of the Hologram USA Theater, the world’s first all-hologram theater, on Hollywood Boulevard in Los Angeles.